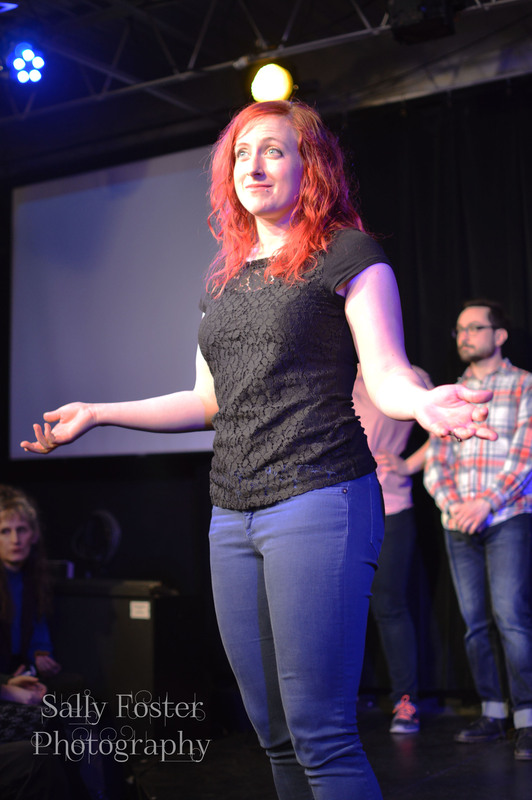 When I walked into HUGE Improv Theater to see Hannah Wydeven’s new 9:30 Friday-night show, Kings, all I knew was that it boasted an all-star improv comedy cast and that it was playing at a nonprofit theater in Uptown that consistently sold out its shows. 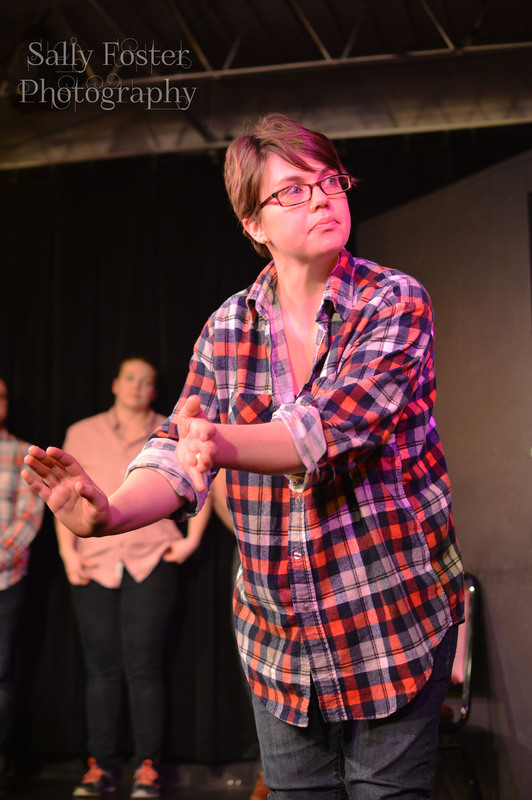 Wydeven, of Show X, a five-year-long-running show in the Twin Cities, has forged a reputation for herself as a force to be reckoned with onstage. It was no surprise, then, as I waited in the lobby and chatted with other theater goers, that I overheard hushed speculation over—now that I’ve seen the show, there’s no less dramatic way to put it—what we were about to witness. Kings was causing quite a stir. The promotional graphics for the show told us everything and nothing all at once: purple lions on their hind legs guarded the name of the show, with a banner, crown and wings splayed around the image like a grand announcement. No subtitle, no cast list. Just a bold assertion. In a sentence, Kings is different and Kings is good. But it’s more than that. 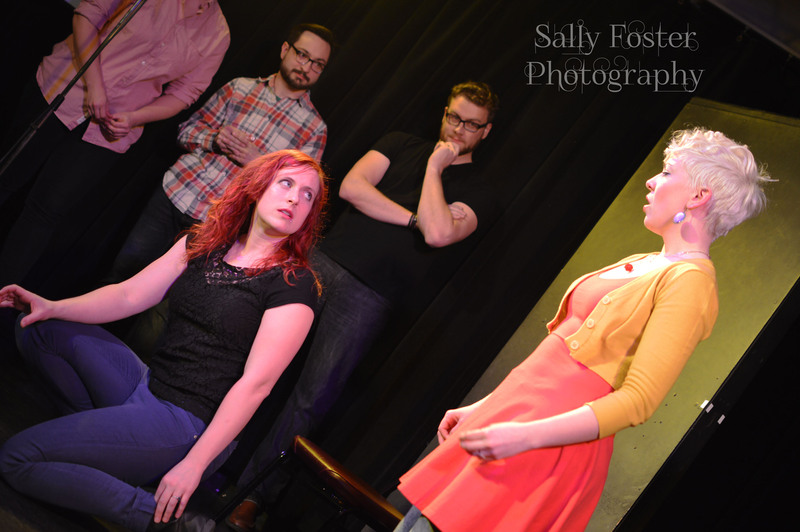 It was a scene like any other you might see at an improv show at HUGE, except that it made me anxious in a delicious way. I watched the two sports fans obliviously cause the manager of one of the players to approach him angrily, blaming him for the delay and the potential demise in his career, as Wydeven continued rattling off warnings in her eerie announcer voice from offstage, and I knew that the scene was about to detonate into a worst-case scenario. As they repeated the rhyme and closed in on Bozic, I clapped once with wide eyes and an open mouth, realizing what it was that I was watching. It was a dream, or maybe a nightmare, or maybe something that toed the line (as our dreams often do). I was inside my own brain when I’m five hours into a full night’s sleep after drinking a bottle of wine and watching a horror film. I looked to my left to see if the realization was hitting everyone else and I was met with chins held high, necks craning to take in every detail on stage. One man had both of his hands covering a laugh while a woman two rows back was holding both sides of her face, palms spread wide, her mouth curved into a knowing and delighted grin. I watched scene after scene seamlessly shift from nonsensical to plausible and back again. I was brought to an apple orchard when Lennes and Kubik, who had been perched to the side of the stage, watching, decided to “rewind the scene” and play it back in French. Kubik, who apologized for rewinding too far, was met with Lennes’s stare when he turned to her and proclaimed, “Sorrys are just wishes in the ocean.” Erin Sheppard quietly stepped forward and cast an imaginary crumb into the sea, softly repeating Lennes’s words to the audience, and to my delight, the cast took the cue. Approaching the very edge of the stage, they simultaneously flicked apologies into a hypothetical ocean where the audience sat, mumbling Lennes’s line to each other distractedly. The ocean scenery continued as the cast led through a scene I noted on paper only in one word—Titanic—and through another fantastical rhyme (“If wishes were fishes, everyone would be swimming”) before we were at the penultimate scene of the show. (Admittedly, though, every scene in the show was presented with enough power and urgency to qualify as both the beginning and the end.) There were three chickens (Kessler, Kubik, and Muraszewski) fighting to the death after one greedily stole all the seed. As Muraszewski lay against the wall onstage, dripping blood with his jaw awkwardly hinged to one side, Wydeven perched on a chair and proclaimed, “I don’t like this book, Mom!” with tears in her eyes. The stage lights lowered to blackout, and we in the audience all simultaneously woke from the dreamscape of the last hour, rubbing the light into our eyes and the goosebumps from our arms. Then, the sold-out hundred-seat room flared with energy and clapped until our hands hurt. We had spent an hour clutching our hands together in anticipation, and barely able to catch our breath from laughter. It’s difficult to walk onto a stage and make sense of a scene to an audience member, but it’s perhaps even more difficult to walk onto a stage knowing that you’re about to do something experimental and ethereal and be okay with the fact that it won’t make perfect sense. As Wydeven commented, it’s in our natural tendency as human beings to want to explain ourselves and apologize when we aren’t perfectly clear or concise. 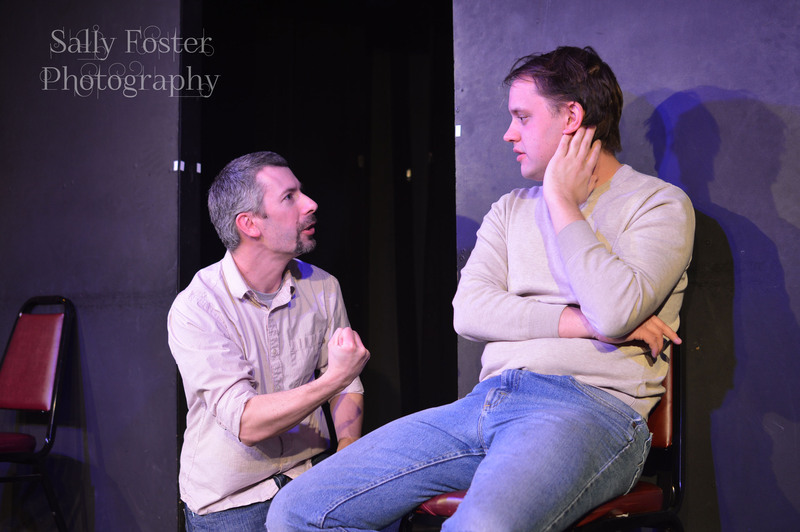 The cast of Kings does a tremendous job in discarding the limits we put on our physical and verbal choices, instead choosing to dig into a subconscious level and graze upon the way our brains work when left to their own devices. When I emerged from HUGE Theater, I felt the way I imagine it feels to be snow that has fallen off a roof and is beginning to settle into its new shape and surroundings. That is, if snow could feel—which was something I was seriously considering the possibility of, given my altered state of mind. I was delighted and I was entertained, but I also felt like a small part of me would never be the same . . . like maybe, that day, I would be a little more bold and a little less apologetic and a little more accepting of the fact that our brains work in inexplicable ways. 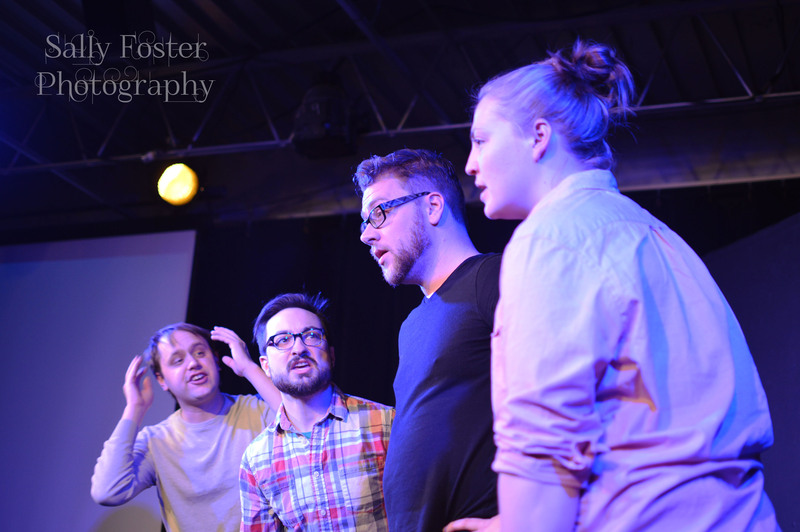 You can see Kings at the show’s finale next Friday, February 27, at 9:30 p.m. at HUGE Theater in Minneapolis for $12 (tickets available in advance online through www.hugetheater.com). A ticket to Kings also gets you into the 8:00 p.m. showing of Throwback Night for free. To see the current Friday-night lineup at HUGE Theater on Facebook, click here.